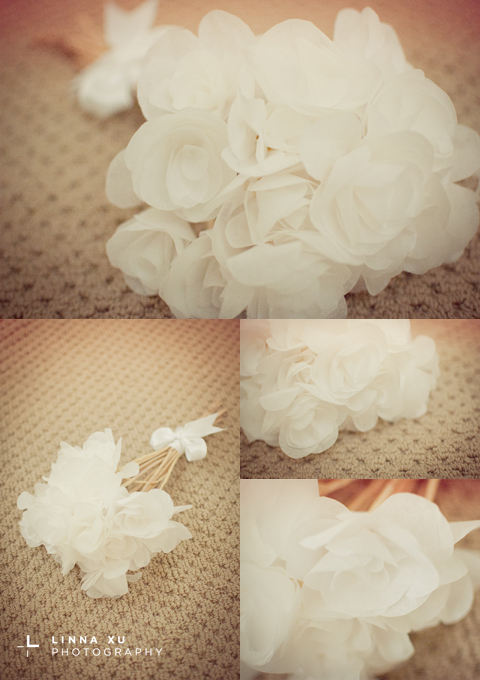 9 Oct Filed under Blog, DIY, Linna, Wedding. Bookmark the permalink. Two weeks ago we posted a shoot we did featuring Linna and Trung in a classic countryside wedding. For this shoot, Linna designed and crafted several handmade pieces that we thought deserved their own little feature. Unfortunately, the “Just Married” sign was left behind at the farm in the excitement of the shoot, which was such a shame because those were hand painted! But fortunately, the bouquet and the headpiece we remembered. This bouquet was made with layers and layers of tissue paper, painstakingly put together, petal by petal. The flowers were attached to natural twigs to give it a rustic feel. The stems were then bound with a white satin bow to tie it all together as the finishing touch. 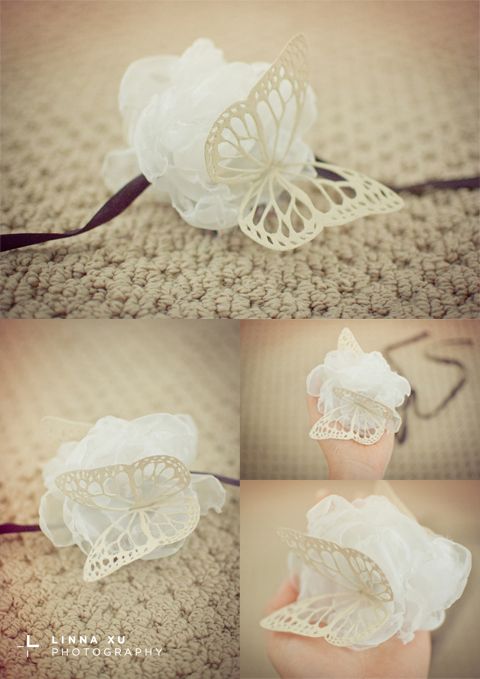 Linna also hand crafted this butterfly floral headpiece, which features hand cut butterflies and organza flowers. These were then sewn into a ribbon to be wrapped and tied around a bun to add a touch of elegance to a simple updo.